This holiday house is only 3 minutes walk from the beach. 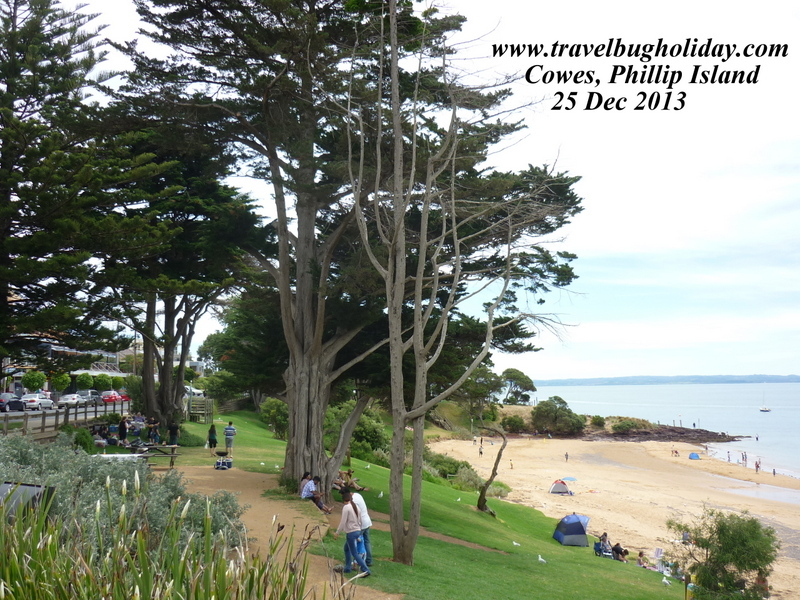 Staying here in Woolamai is wonderful as it is far from the madding crowd of Cowes and yet near enough for “people watching” if the need arises. 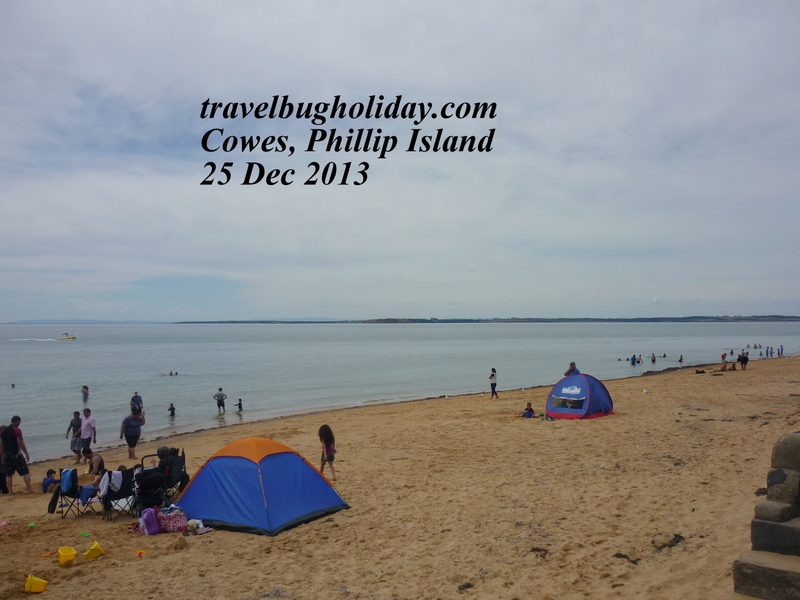 Cowes is positively full of energy during the Christmas holidays. You won’t get bored at Cowes. 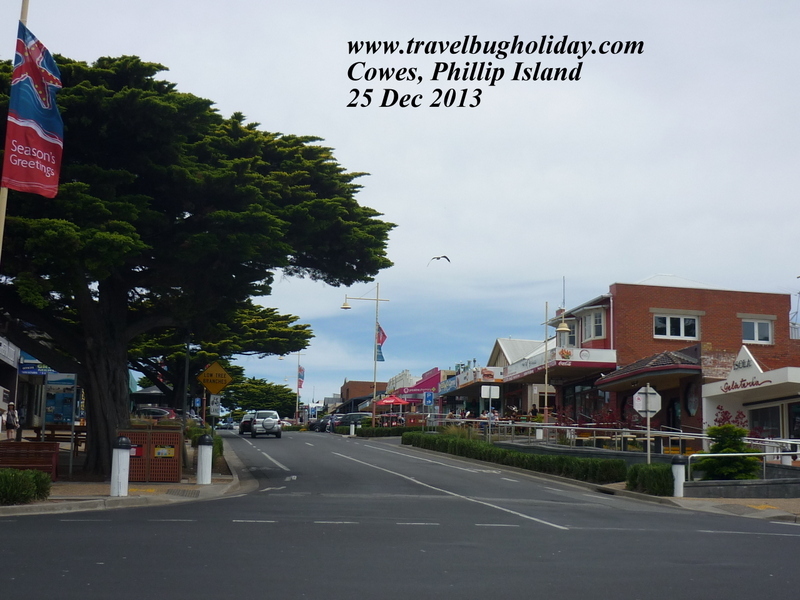 In my opinion, it is like a Byron bay in Sydney with small shops and boutiques and many cafes and major chain of supermarket such as Coles, Woolworth’s and IGA. I spent a lazy day at this seaside place, doing a bit of last minute Christmas shopping, stroll down the sunset strip, had a great lunch at one of the many lovely cafes, and joined the many tourists and local by cooling off with a swim near the pier. If you don’t wish to swim, there are many trees with abundance of shade for a lovely picnic or a BBQ. I noticed that you can hire a boat in the booth opposite the pub. 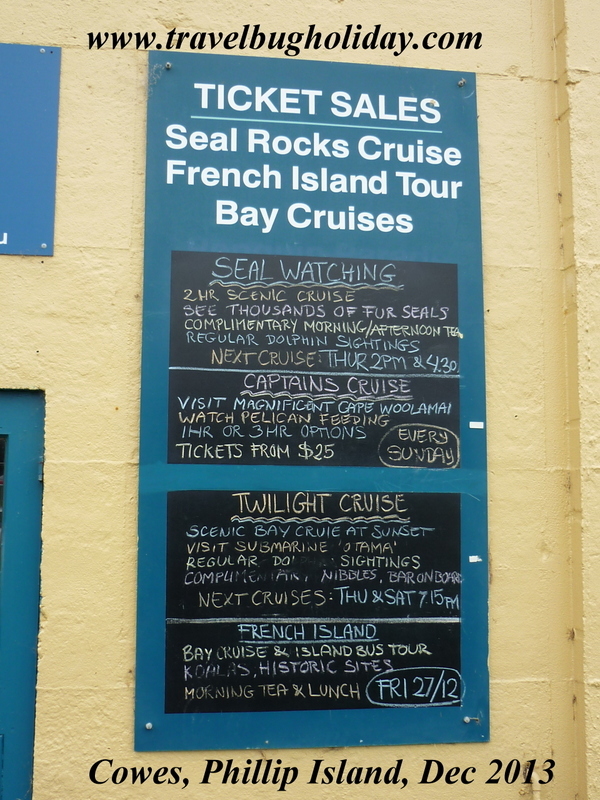 I will do that the next time I am here to check out the cute fury seals at the Seal Rocks. You can also catch the passenger ferry over Western Port to Stony Point on the Mornington Peninsula or on to French Island. On Christmas day, majority of the shops are closed but at least a dozen food shops/cafes are open for tourists business. So tourist, never fear that you will go hungry in Cowes during Christmas day. I noticed that many bring their own food for a lovely picnic and swim during Christmas. Even IGA supermarket open for a few hours on Christmas day to cater for last minute shoppers. 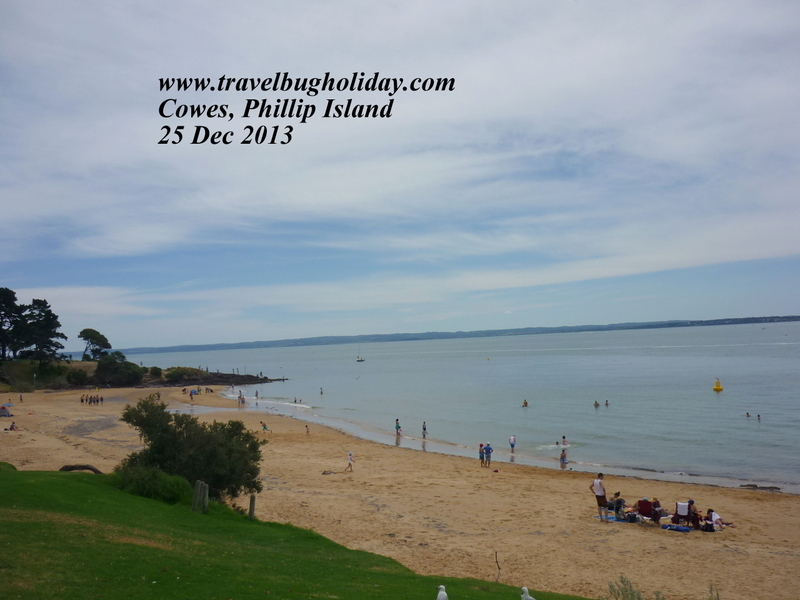 2) Quarantine Station, Victoria, Australia . 3) 1000 Steps Dandenong Ranges National Park, Melbourne, Australia .